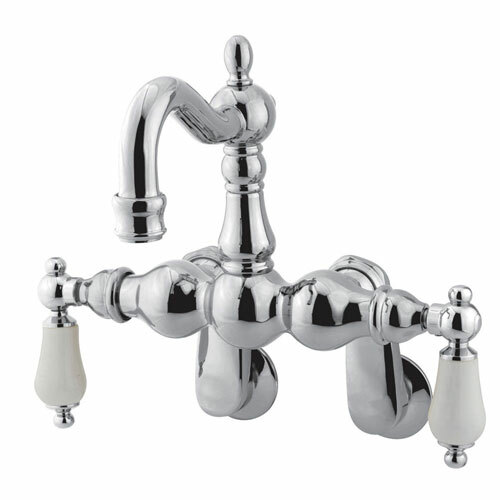 Kingston Brass Chrome Wall Mount Clawfoot Tub Filler Faucet CC1084T1: This Wall Mount Clawfoot Tub Filler Faucet is built to last. The highest quality standards are used to precision manufacturer a top of the line product. Important features of this BRAND NEW Fixture: Complete Item! Everything necessary for installation is included. - White Porcelain Lever Handle - Matching Accessories Available - Easy to Install - Installation instructions included - Wall Mount Clawfoot Tub Filler Faucet - This clawfoot tub filler is constructed of high quality brass to ensure reliability and durability. Its premier finish resists tarnishing and corrosion. 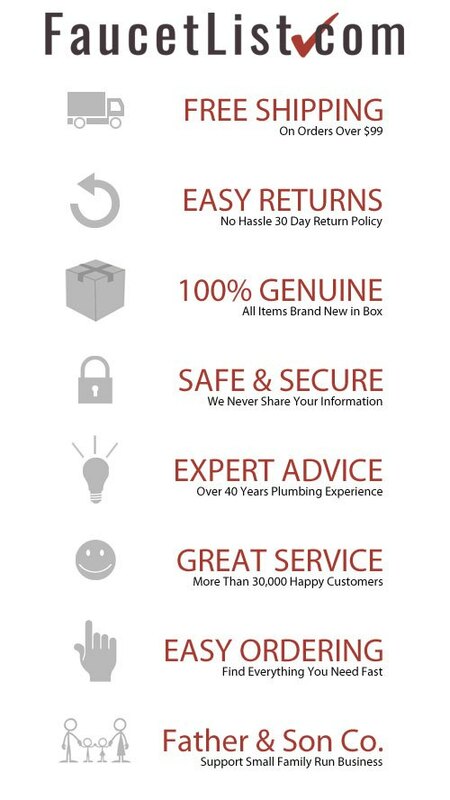 All mounting hardware is included and standard US plumbing connections are used. - Tub wall mount with 3-3/8-inch - 9-inch spread - 1/4-turn ceramic disk cartridge - 4-3/4-inch spout reach - Fine artistic craftsmanship - Standard US plumbing connections - Chrome premier finish designed to resist fading and tarnishing. This fixture is manufactured by Kingston Brass and is part of their Vintage collection.